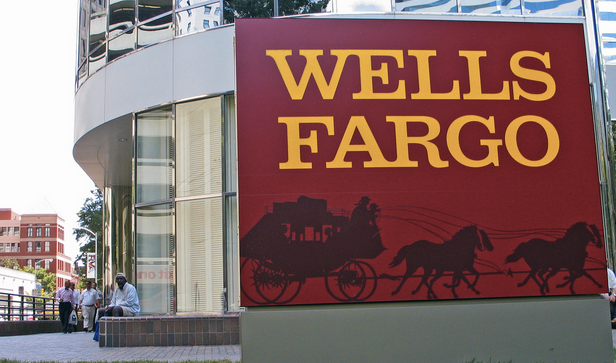 The City of Los Angeles has filed a lawsuit against the largest bank based in the state, accusing Wells Fargo of a plethora of unfair practices including encouraging employees to open unauthorized consumer accounts and then charging those accounts phony fees. The Los Angeles Times reports that the lawsuit, filed in state court in Los Angeles on Monday, claims Wells Fargo pushed employees to engage in fraudulent conduct with regard to consumer accounts in order to meet the bank’s sales quotas. According to the civil complaint, employees at the bank regularly misused customers’ personal information to open unwanted accounts and failed to close the unauthorized accounts despite complaints from customers. In some cases, the city alleges in its lawsuit, employees were so adamant about meeting sales expectations that they used funds in client accounts to open additional accounts. As a result, the suit claims that Wells Fargo was able to create a “fee-generating machine” that harmed customers, while the bank got by relatively scott-free. In addition to opening unwanted accounts and charging exorbitant fees, the lawsuit claims that Wells Fargo further harmed customers by placing their accounts in collections when their accounts didn’t contain enough funds to cover the the bogus bank-generated fees. Customer would then receive marks on their credit reports. The city’s investigation into the unfair practices found Wells Fargo – which previously blamed the issues on an isolated group of employees – took little action to protect consumers. “On the rare occasions when Wells Fargo did take action against its employees for unethical sales conduct, Wells Fargo further victimized its customers by failing to inform them of the breaches, refund fees they were owed, or otherwise remedy the injuries that Wells Fargo and its bankers have caused,” according to the suit. The city filed the lawsuit under an unfair-business-practices law that allows cities to seek redress for customers throughout California. In all, the suit seeks a court order to stop the unfair practices, penalties up to $2,500 for every violation, as well as restitution for affected customers. Wells Fargo says in a statement to the L.A Times that it will “vigorously defend” itself against the lawsuit. “Wells Fargo’s culture is focused on the best interests of its customers and creating a supportive, caring and ethical environment for our team members,” the bank said. Los Angeles city attorney Mike Feuer says he began investigating the bank’s alleged unlawful practices back in December 2013 after reading an article in the Times about sales pressure at the bank’s branches around the country. That L.A. Times story centered on how staffers begged friends and family members to open unwanted accounts and then forged signatures and falsified documents so that the customer couldn’t be reached. Despite the fact that Wells Fargo said it had disciplined or fired the employees involved in previous unfair practices, the L.A. Times reports that customers have still experienced issues. One small business owner tells the publication that the bank’s employees pressured him into opening several unwanted accounts starting about four years ago. He says that after he was charged a fee for a third account he didn’t want he canceled the account, only to find a few months later that he had three additional accounts and a credit card. In all, he says that at one point he had 10 different accounts with the bank. Things only began to improve when he went to the local branch to complaint and have the accounts closed. And while he was able to receive refunds for some of the incurred fees, he says the ordeal affected productivity toward his business.